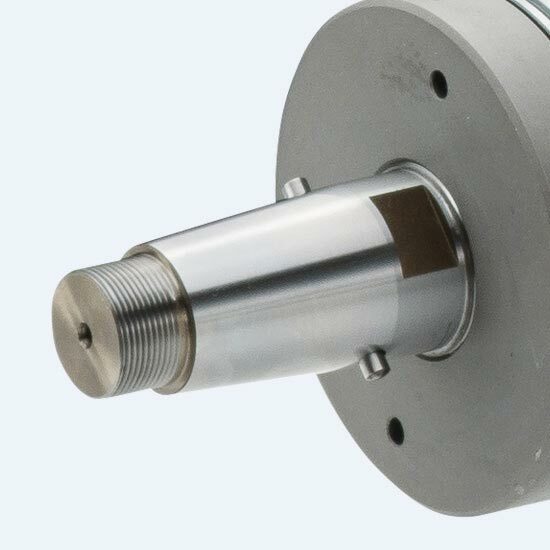 GMN tool spindles with a motor installed are characterized by their high reliability and operating safety, as well as uncomplicated commissioning. 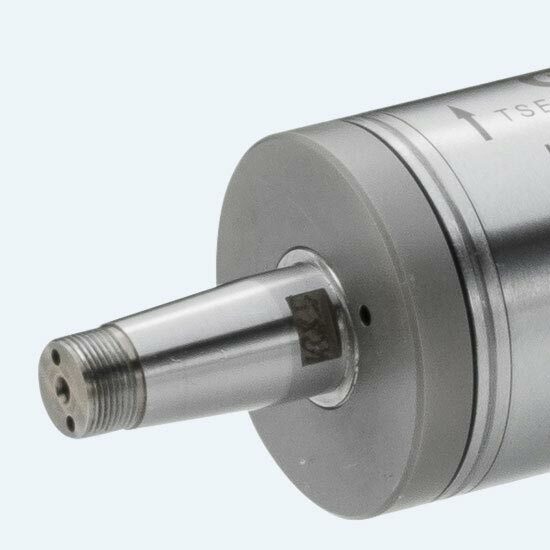 Fixation over the cylindrical sleeve makes it possible to deploy it quickly. 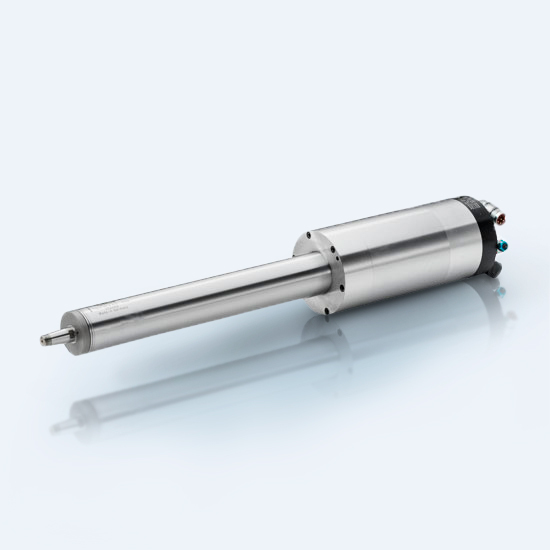 With the installed liquid-cooled motor and higher power density for machining tasks with moderate and high speed. 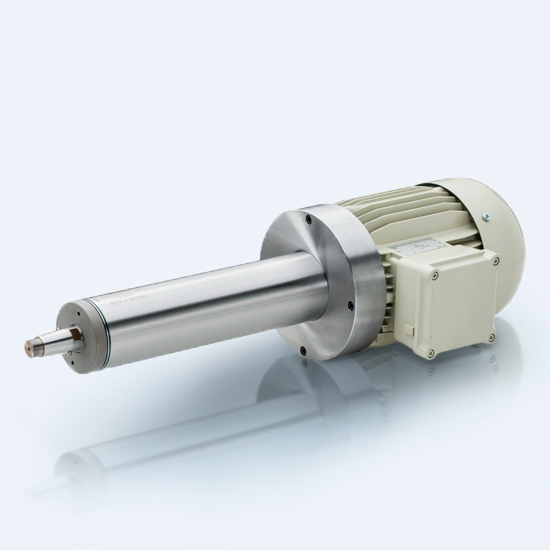 With an installed, air-cooled motor, little supply expense, as well as robust bearings and high stiffness specifications for custom machining applications. Since neither the demands on energy efficiency nor the state of the art met the current standards any longer, the production of the TSEV series (special spindles with an engine for air cooling) was stopped by the middle of 2017. These spindles will continue to be offered in the future with a motor installed for liquid cooling. GMN will provide the best cooling unit for this. Please give us the engraved serial number for the spindle you are using.